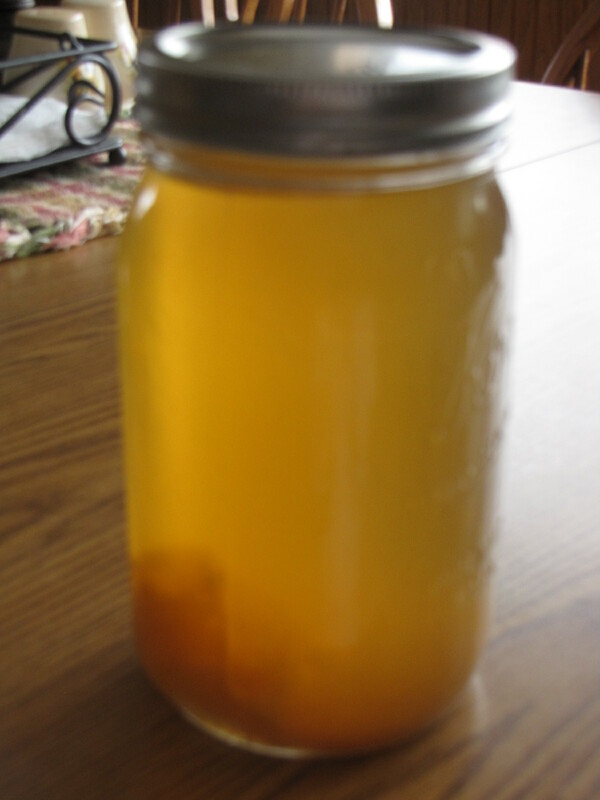 This post is for my niece, who wants to learn how to make her own kombucha scoby… Here you go, Cassie! We love our kombucha. Alot. I’d have to say it is an acquired taste though. Our former pastor’s wife got me started a couple of years ago – she actually gave me a batch that was already fermenting. I remember her saying how much they loved it and frankly…initially I wondered WHY…??? After awhile, it did grow on me…now I am thoroughly addicted. 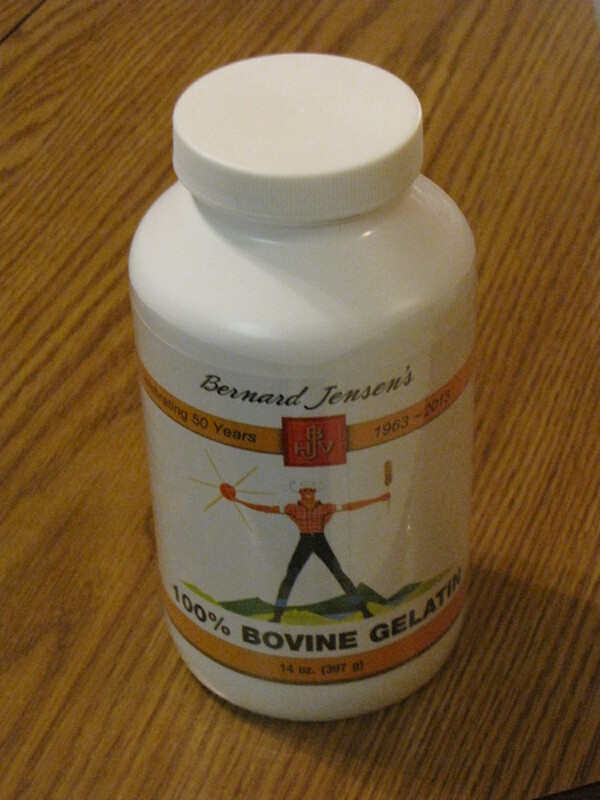 It’s better than drinking toxic pop, so I really have no guilt. After a couple of years of trying to convince my husband that he too should drink it…he has caved decided to listen to his brilliant wife :-)…and now he enjoys it as well. I’ve been cyclical with making it over the past couple of years, but now we regularly go through about two gallons or so each week since there are four of us drinking it. There are continuous brewing systems out there…I just haven’t gone there yet, and I have two separate jars going – one that is “done” midweek and the other on the weekend. That keeps us in a steady stream of “booch” all week long. Kombucha is a probiotic drink that comes from Russia originally. It produces small amounts of a glucuronic acid – which is a potent detoxifier. It is said to “be a powerful aid to the body’s natural cleansing process, a boost to the immune system and a proven prophylactic against cancer and other degenerative diseases.” (Sally Morell Fallon, “Nourishing Traditions”) It is also high in B vitamins. Kristen over at Food Renegade has a great post about the many health benefits so I’ll give you that link here. Boil the water, add the sugar until dissolved. I do mine a little different than the recipe says (I have done 4-5 quarts and it has turned out fine, at least as far as I know)…so if anyone is sitting by with your copy of NT looking at this…just know that this is my spin on it. 🙂 The recipe says to steep the tea bags in the hot water and sugar mixture. I pour the sugar water into a large glass jar that I use only for kombucha, and steep the tea bags in there. Once the water is cool, I take out the tea bags, add the 1/2 c. of kombucha and place the mushroom on top. Cover (I use a dishcloth and a rubber band) and transfer to a warm dark place. I have been keeping mine on the counter lately (my canning allows for no extra room in my pantry) and I haven’t noticed a change, although it does not get direct sunlight. It takes about 7-10 days to brew, sometimes longer in the winter. It will be fizzy when done. I don’t typically see it fizzing in the jar, but when I take off the scoby and pour it into jars, it fizzes quite a bit. When the kombucha is ready, your mushroom/scoby will have had a “baby” (a new layer). Each batch will give you a new scoby. Depending on whether or not I have any “takers” who are interested in making it themselves – I take out what I need for my next batch (at least a layer of scoby and 1/2 c. of the kombucha)…and I typically compost the rest of the scoby. If you find others who are interested, just keep the other scoby in a glass pint jar with 1/2 c. of the kombucha to share. Keep your extra scobies and kombucha starters in the fridge; kombucha itself should also be refrigerated. I keep mine in covered quart mason jars in the fridge, although there are special containers out there that keep it fizzy longer. A couple words of warning. If it smells bad/rotten, it probably is. It should have a vinegary smell, and slightly sweet/sour taste. 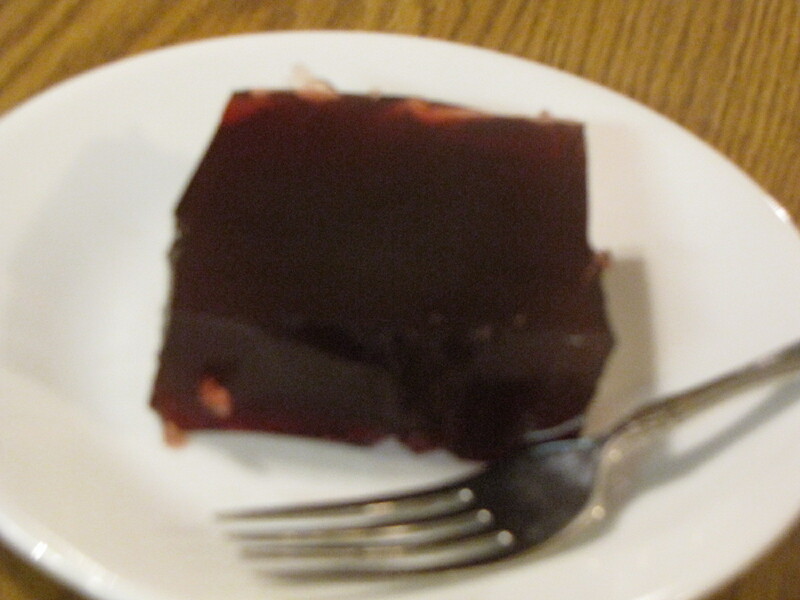 The scoby should be tannish in color, with a sheen to it. If you have anything turn black, or get slimy/moldy, I’d throw the whole batch out and start from scratch. You also shouldn’t use metal in this process as it reacts with the kombucha. And also, I’ve heard urban legends about scobies growing in septic systems, so if you have one, I’d exercise care in washing and disposing of leftovers (I live in town but I still rinse it and dump it in my plants out back before washing it in the sink). Buy one bottle of unflavored, unpasteurized, organic kombucha (I used G.T. Synergy’s RAW original variety – can be found at any Whole Foods Market and many co-ops or natural food sections of larger grocery stores). Pour the whole bottle into a large, wide-mouth glass jar (quart size works) and add one cup of cooled black organic tea that has been sweetened with 1 T. of sugar. Cover the jar with a dishtowel and sit it on your counter away from direct sunlight. The scoby will start to form on top of the kombucha. At first, it will only be a thin film. It will thicken over time; when it’s about 1/4″ thick (2-3 weeks, longer in winter), it’s ready to use. Regardless of the size then, it will grow to fit whatever size jar you use to brew from that point. 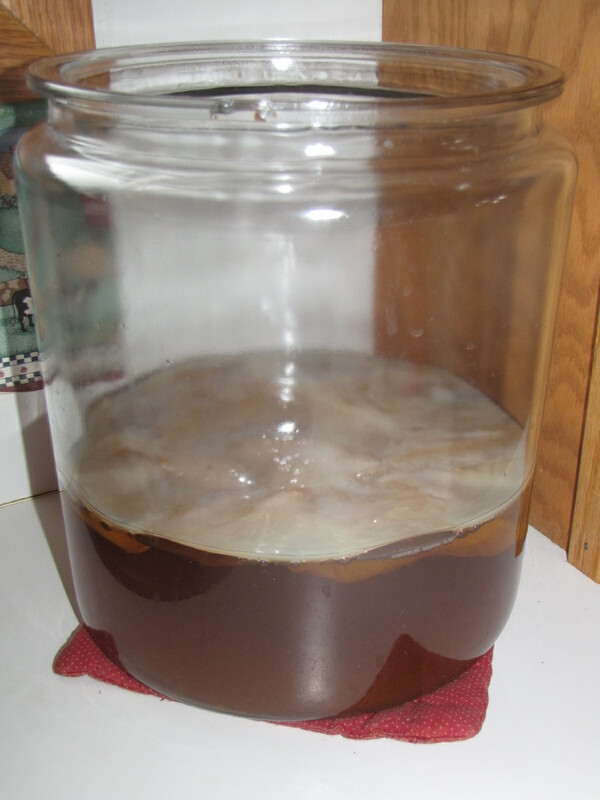 It does take awhile to get a thicker scoby, but you can still continue to brew anyhow. I did notice that those initial batches seemed to take longer than 7-10 days…probably closer to 2 weeks or more. This is how I started my most recent scoby over a year ago, and you can see from the picture above just how big it is now. P.S. One final thought…as with anything…MODERATION MODERATION MODERATION. If you aren’t used to drinking this, I wouldn’t drink a quart in a sitting. Or probably even in a day. Because it is a powerful detoxifier, you may even feel worse initially, so use your own good judgment on how much you or your family members drink. Personally, I’d start small and work my way up gradually…but that’s just me. So there’s my disclaimer. 🙂 And as always, I’m not getting paid through the links that I have on this post…they are simply there for your reference. There are lots of great resources out there on this subject, I’d encourage you to look at other resources too.